Maxi skirts aren’t just for summer. I think they can be a really good transitional piece. If you go for a skirt that isn’t super floral and bright it can work year round. A black maxi is great for year round. This one is under $25! It can be paired with so many different sweaters in the winter and fall. I also like this one with a high slit for under $40. 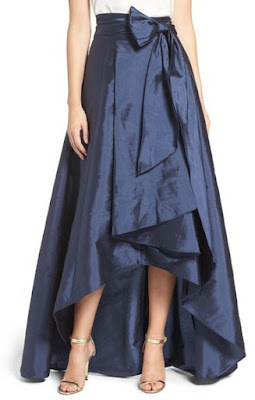 This navy taffetta high low skirt would be perfect for winter and fall weddings. And it’ll still look nice for end of summer dress up events. 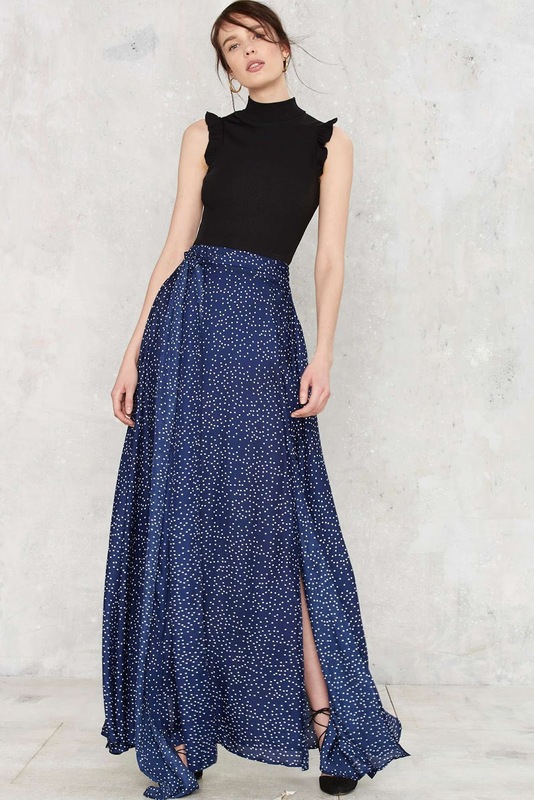 Polka dots are seaonless print and this shade of blue is great year round. It’s made with chiffon so you still get the fun floaty feeling of a summer maxi. These skirts are all so gorgeous! My Posts contain affiliate links. If you click the link and/or purchase from a link I may be compensated. Visit Jessica Zaleskiwicz/ Tres Fly's profile on Pinterest.